Kent State University Press, 9781606352304, 32pp. In the summer of 2013, Cortney Davis, a nurse practitioner and author who often writes about her interactions with patients, underwent routine one-day surgery. A surgical mishap led to a series of life-altering and life-threatening complications, resulting in two prolonged hospital stays and a lengthy recovery. During twenty-six days in the hospital, Davis experienced how suddenly a caregiver can become a care receiver and what it's like to be "on the other side of the sickbed." As a nurse, she was accustomed to suffering and to the empathy such witnessing can evoke, but as a patient she learned new and transforming lessons in pain, fear, loneliness, abandonment, and dependency; in the fragility of health and life; in the necessity of family support; and, ultimately, in the importance of gratitude. Once at home, Davis wanted to respond to her illness creatively through her writing, but the details seemed too intense, too raw for words. As her recovery progressed, she found release in painting, discovering an immediate connection between heart and hand, between memory and canvas. In a series of twelve paintings, she reenvisioned episodes of her illness, moments that remained and replayed in her consciousness, ultimately providing an education in health care more resonant and more authentic than what she had found in nursing textbooks. Before, serving as a nurse in intensive care, oncology, and women's health, Davis believed that she understood what hospitalized patients might be experiencing and how they might be coping. Her own illness taught her how little she truly knew and how important it is that all caregivers--professionals and family members alike--become aware of the physical and the inner emotional needs of their seriously ill patients. After the twelve paintings were completed, Davis wrote brief commentaries for each image. She used her remembrances to clarify and expand on her artwork, thereby making her personal story accessible to others. While every patient's journey and every caregiver's challenges are unique, these intimate and revealing paintings and reflections offer a glimpse into the universal aspects of illness and recovery. Cortney Davis is the author of The Heart's Truth: Essays on the Art of Nursing (The Kent State University Press, 2009) and of five poetry collections, including Leopold's Maneuvers, and is the winner of an American Journal of Nursing Book of the Year Award and the Prairie Schooner Poetry Book Prize. 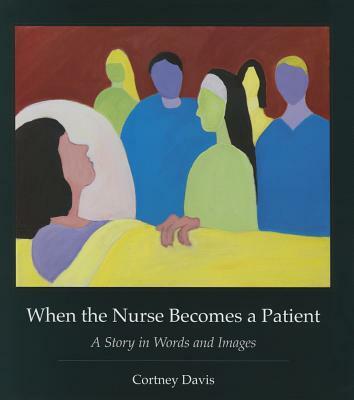 Coeditor of two anthologies of poetry and prose by nurses, Between the Heartbeats and Intensive Care, Davis's writing explores the transcendent and often mysterious bond between patients and their caregivers.